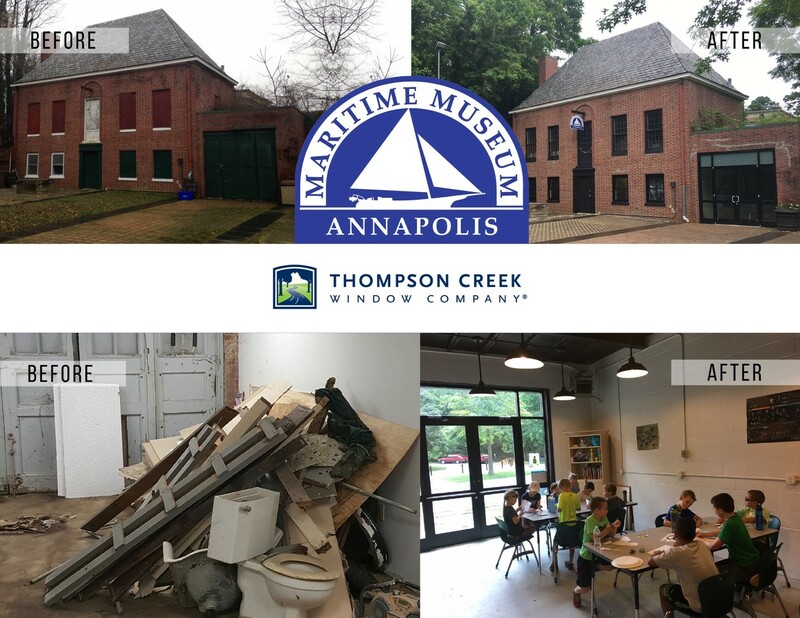 When Annapolis Maritime Museum announced plans to expand and refurbish the Back Creek Nature Park location Thompson Creek responded by outfitting the new Education Center with windows. The goal to bring the building back to life as a classroom serves the thousands of children who attend events and programs at the museum each year. Through hands-on experiences, students learn about bay ecology and Annapolis’ rich maritime history. It is hoped that this space will be an inspirational playground, fostering nature and a love of the environment. As someone who grew up in Annapolis, Rick Wuest, CEO and President of Thompson Creek understands the value of promoting educational programs in the area and providing opportunities to discover the magic of the Chesapeake Bay. This installation included 4 windows manufactured at the local Thompson Creek facility in Upper Marlboro. The replacement windows feature energy efficient panes that exemplify the facility’s goals to demonstrate environmental stewardship. Previously, the windows in the facility didn’t open. 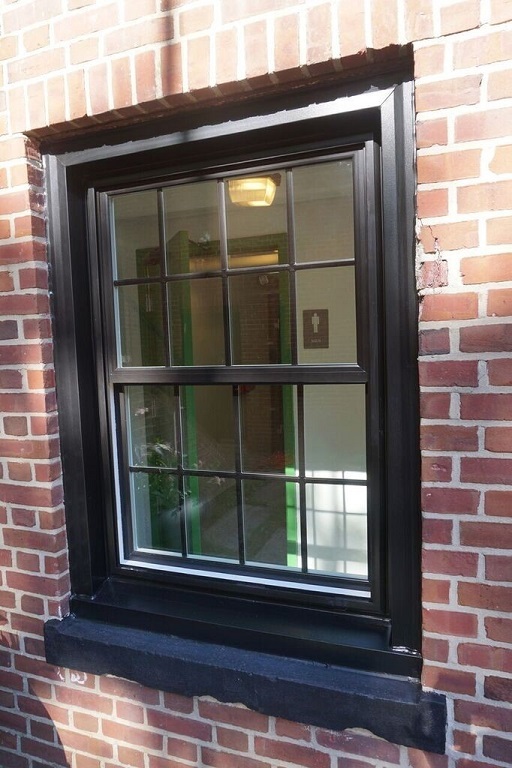 The new windows feature a dramatic black capping to match the aesthetics of the building. In our video you can see the care and consideration that went into the installation and the ease of use in operating the new windows. 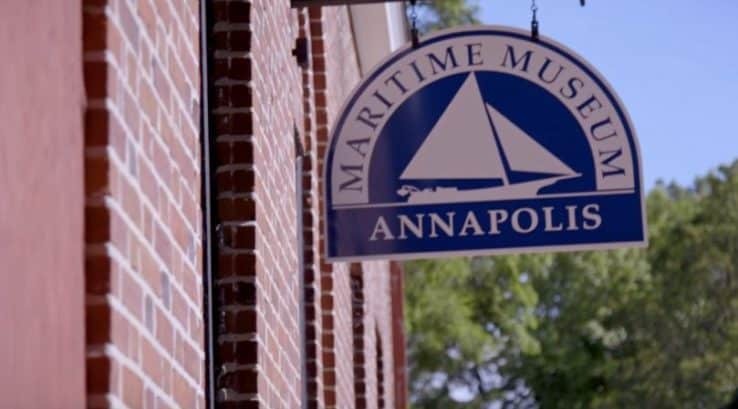 We are thrilled to be able to partner with the Annapolis Maritime Museum to help create a beautiful space for families to learn and grow right here on the bay.